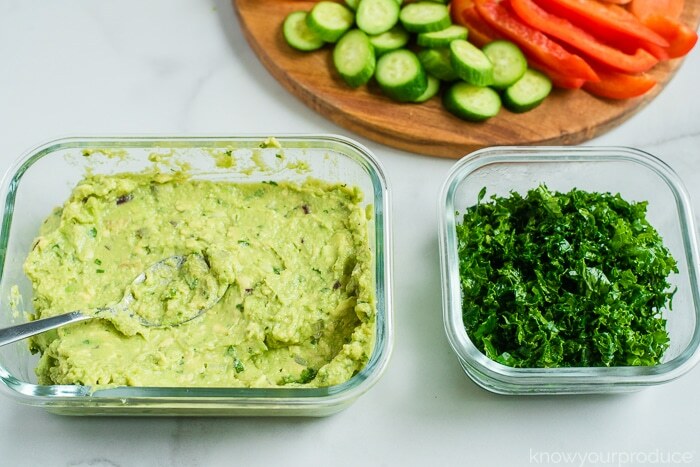 Kale Guacamole, yes it’s delicious! If you love our best guacamole recipe ever you’ll love this recipe too. We add in some fresh chopped kale to pack in even more vitamins, nutrients, and minerals. 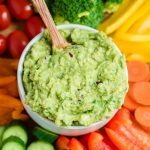 Hate eating your greens but LOVE guacamole? 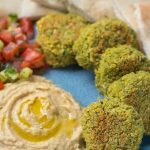 Well then.. this recipe is for you! I love to add some kale into guacamole to not only get more greens into our diet but also add more texture. 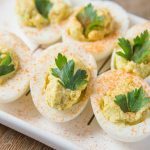 It bulks up the guacamole and makes it a little less heavy. 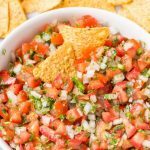 It’s perfect for making our tomato avocado toast or scooping onto some dairy-free nachos. 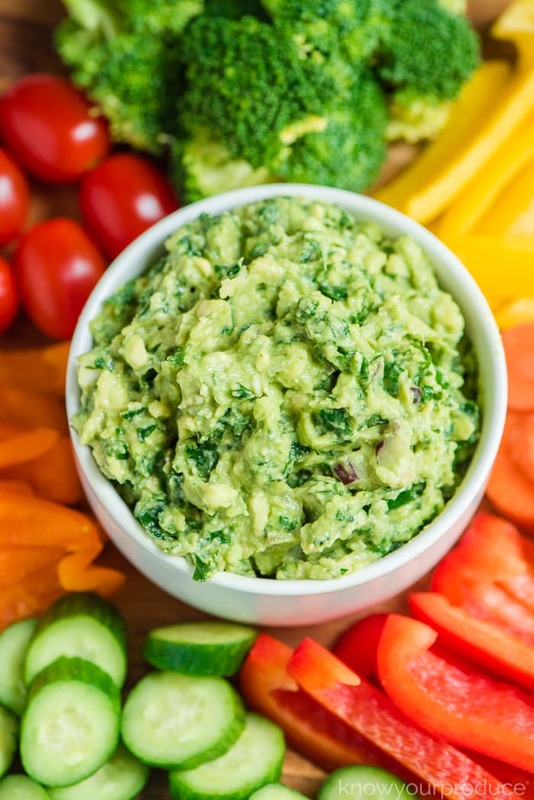 Avocados are the main ingredient for guacamole. 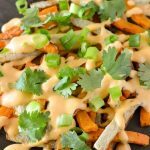 It provides a rich and creamy base that’s completely plant-based. 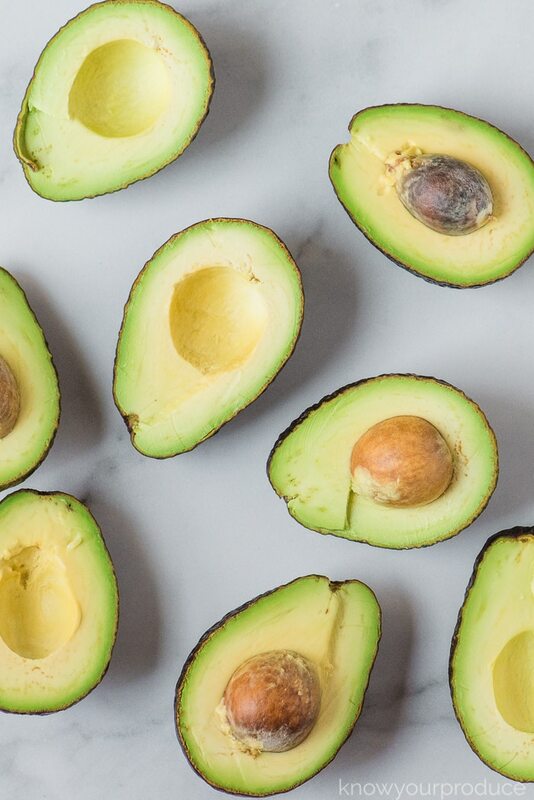 In addition to the avocado, you’ll also need kale, red onions (or sweet onion), cilantro, garlic, lime, and a little salt. Chop the kale, onions, garlic, and add into the bowl. Squeeze in the lime and season with salt. 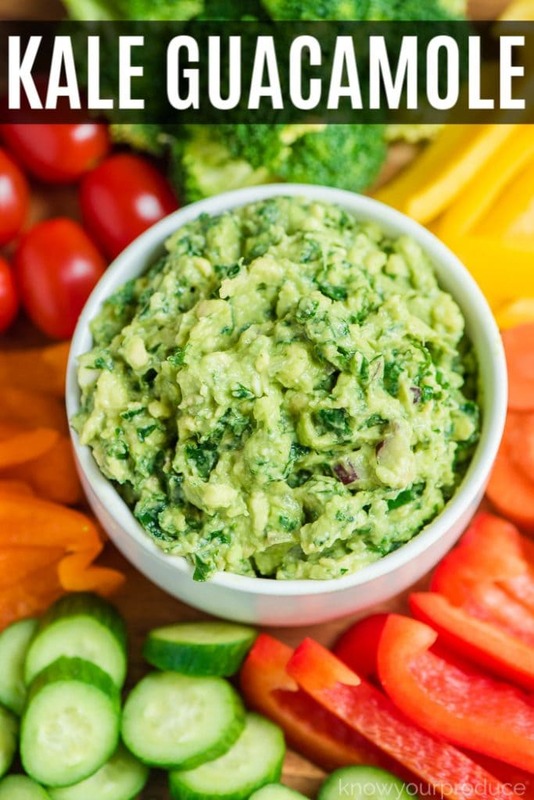 Make this fresh Kale Guacamole that packs in even more nutrition than regular guacamole! It's easy to make you can add as much or as little kale as you want. Chop the kale, garlic, onions, and cilantro - add into the bowl. I’ve been on a huge kale kick right now and this looks and sounds spectacular! 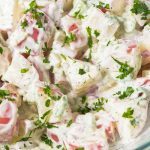 I also appreciate that all the ingredients are clean, fresh, and easy to whip together. 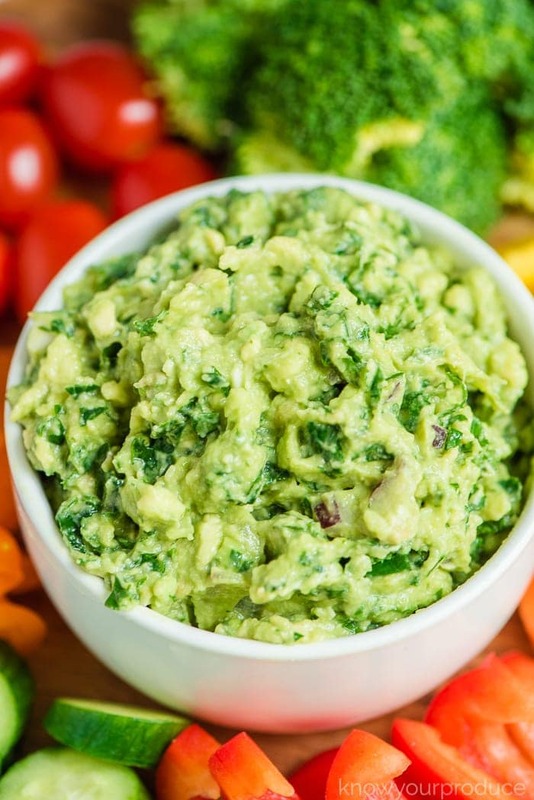 A perfect upgrade to guacamole!